My christening photo. Parents, grandparents and my god mother and father. A contrast in style to my son’s naming day which was a bit less formal, though some people did wear shoes! 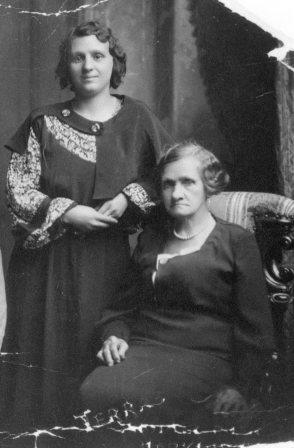 I’ve been posting about “family history in the making” and then I read Helen Tovey’s blog post on “becoming an ancestor”. It’s made me think about how important it is to document the present (and recent past). Today is a particularly appropriate day for such thoughts as it’s my son’s 15th birthday. He is my only child, so his birthday is not just a celebration of his life, but of his father and I becoming a family rather than a couple. I sometimes wonder if our pleasure in that doesn’t almost outweigh the boy-child’s enjoyment of presents, cake and devoted parental attention for the day. And that got me thinking about his day. The boy-child with proud parents and god-parents. I’ve temporarily exhausted my supply of wedding photos, so that theme is back on the shelf for a while. Meantime, something caught my attention the other day that relates not to my family’s story but to that of the city I live in. It also speaks of the on-going story of violence against women. This is particularly in my mind at the moment, I guess mainly in light of the high-profile fatal attacks on women that have made the news lately. For each for these cases, I know there are many, many more that are not reported. Violence is endured daily by so many women in so many places – and most go un-remarked and un-reported. So … A couple of days ago, I was walking in Auckland’s oldest cemetery – Symonds Street – in central Auckland, when I found a memorial headstone that caught my attention. 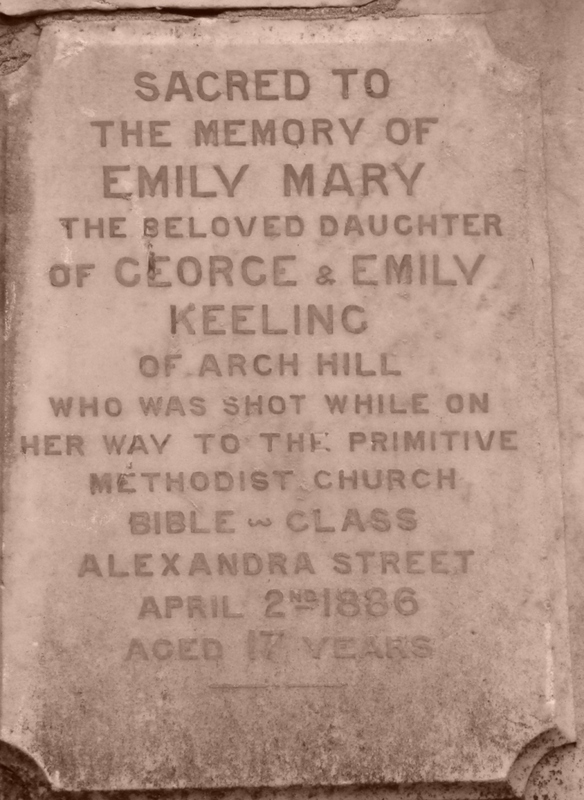 Sacred to the memory of Emily Mary the beloved daughter of George and Emily Keeling of Arch Hill who was shot while on her way to the Primitive Methodist Church Bible Class Alexandra Street April 2nd 1886. Aged 17 years. Symonds Street Cemetary was in use from 1842 until around the 1930s. It contains the graves of many early European settlers to Auckland, and walking amongst the headstones is a lesson in the hardships of life in the nineteenth century, and of pioneer life in particular. Symonds Street Cemetary; in use between 1842 and the 1930s. However, New Zealand has always had a reputation as a very safe place, so death by shooting – particularly the death of a young woman – was both deeply sad, and really intriguing. I had to know more. Was she shot accidentally? Or was it a murder? Thanks to Papers Past, an initiative of the National Library of New Zealand to digitise New Zealand’s newspaper heritage, I was able to find newspaper accounts of the death of Emily Mary Keeling, which was widely reported throughout New Zealand. From the articles I read, it seems that Emily Keeling was fatally shot by a man who lived next door but one to her family. He claimed to have fallen in love with her, and had – two years previously – asked her father for permission to marry her. At the time of the proposal, Emily was only 15 and her father had refused permission. In the intervening two years the man, Edwin Fuller, had moved around the Auckland region working in different jobs before returning to the city to pursue Emily again. According to the newspaper reports, he wrote a letter to his family outlining his plans to kill Emily and himself. Edwin Fuller did shoot himself – a couple of streets away – having left Emily to stagger across the street to a shop, where she died within an hour. I’ve been thinking about this story since Saturday night, and it’s affected me on all sorts of levels. Most importantly of course, I feel an overwhelming sadness at the absolute tragedy of it. A young woman walked out of her front door to go to a Friday evening class, and didn’t even get to the top of her street before being killed. Even 120 or so years later when the murder rate in New Zealand has risen alarmingly, such an event is still rare enough to be remarkable. I am also feeling something that I’m beginning to recognise quite a lot in family history research; what drives me to do research is curiosity and the pleasure of solving puzzles, and yet it’s often the case that the information which helps to solve those puzzles is only available because the people we are searching for have experienced tragedies that brought them into the public record in some way. So my enjoyment is often tempered with sadness. Emily Keeling was one of two children. Her brother had moved to Australia and she of course didn’t live to bear children of her own. I don’t know then if there is anyone left in Auckland who remembers her – certainly her grave appears (like most of those I saw in Symonds Street cemetery) untended. 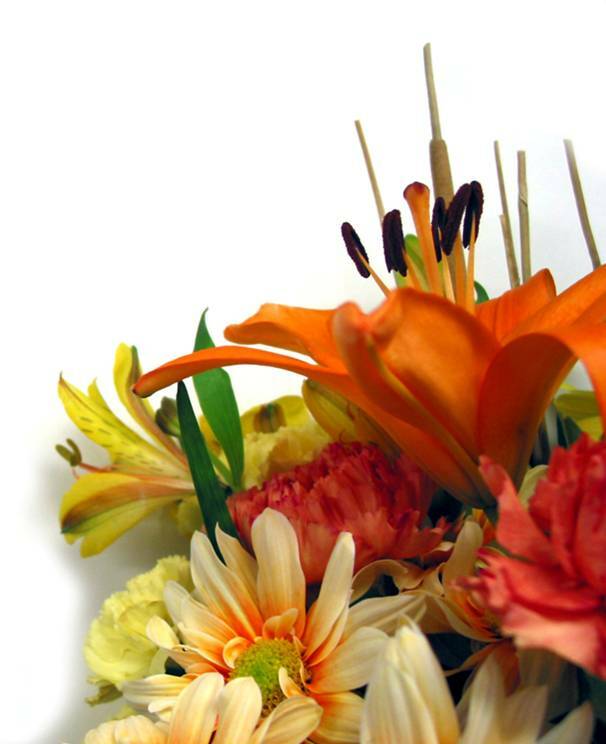 Tomorrow I’ll take flowers, in memory not only of Emily Keeling, but of all the women who die violent deaths and who are forgotten like Emily. My maternal grandparents celebrating their 25th wedding anniversary in 1951. The last couple of “kiss” photos I posted got me thinking about the couples in my family, and actually how few photographs I have. None of my parents (without the kids) and only this one of my maternal grandparents. David Skinner Ramsay and Margaret Simpson Bissett Cruden were married in on 21 December 1926. Grandad was 25, Gran was 18. He was a coalminer, she a shop assistant. Both lived in Dysart, Fife, Scotland. 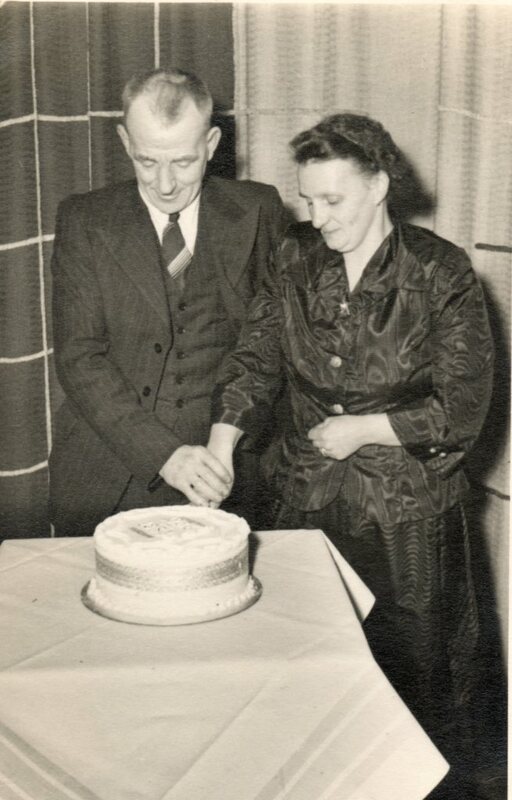 They raised six children and remained married for 47 years, until my grandad’s death in 1973. When my grandmother was widowed, she started travelling – to New Zealand to visit us, then Australia to see her brother and his family. She went to Zimbabwe (then Rhodesia) to visit her only son, and back to Australia. In the last 15 or so years of her life she mainly stayed in Europe, but still managed to clock up an impressive number of miles for a woman who had never left the UK until she was in her mid 60s. My gran died in 2006 – a week short of her 98th birthday. By that stage she had 17 grandchildren, 26(ish) great grandchildren, and a couple of great, great grandchildren. She’s the grandparent I knew best and the only one I spent time with when I was an adult. Thinking back on all the hours we spent drinking tea and scoffing coffee meringues (her favourite), I wonder why I never asked her all the questions I now have about her life – her childhood, marriage, parents. Back then I just wasn’t that “into” family. Now, a mother myself, I’m determined that my son will know more about his ancestry than I do about mine, and in particular the stories of lives and loves and death that make the past alive for us. My younger brother Derek Leslie and his wife Nya Fogden on their wedding day, July 2006. 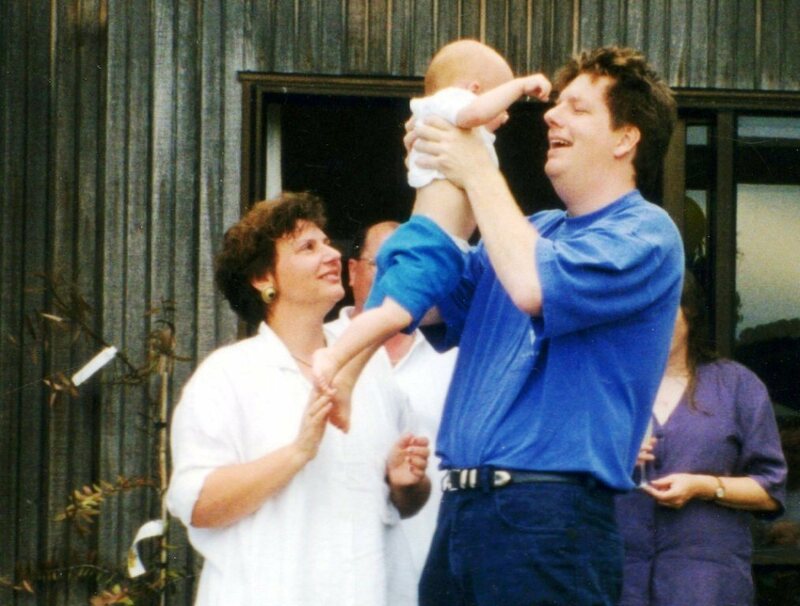 Carrying on yesterday’s theme; another kiss that contributes to my family history in the making. 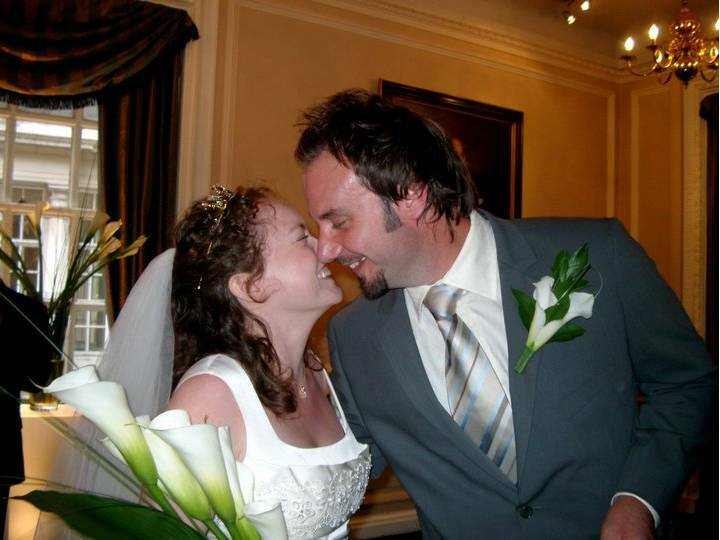 My youngest brother Derek, married Nya Fogden on 8 July, 2006 at the St Stephen’s Club, London. Tony and I, June 2011. Almost 25 years since the first kiss, and we’re still snogging in public. 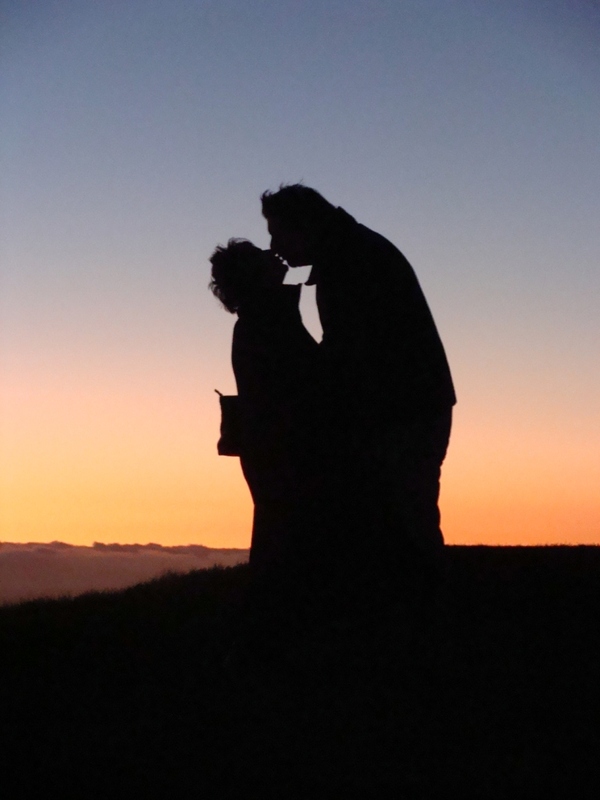 The photo was taken on top of Mt Eden (Maungawhau), Auckland, by our son Tom. If that’s not family history in the making, what is? My mother sent me this photo recently. The young man in front is her great uncle, Stewart Cameron Cruden, who died on 9 March 1942 aboard the HMT Shera in the Berants Sea. The ship was a Norwegian whaling boat which had been requisitioned by the British Navy as a minesweeper to protect the Arctic Convoys delivering supplies to Russia. It was en-route to Murmansk on loan to the Soviet government when high seas and pack ice caused the ship to ice up and capsize, with the loss of seventeen lives. Mum remembers quite vividly hearing of her great uncle’s death. She said that when the telegram came, her parents were at the cinema in Kirkcaldy and that the management stopped the film to deliver the message that they were to go home immediately. Mum wasn’t sure who had sent the message – probably one of her older sisters – but the reason was that they were needed to comfort my great, great grandmother who was ill and living with my mother’s family at the time. It seems an odd thing to do, but I guess that, in wartime, it was probably quite common. I also occurred to me that for my grandmother, hearing her name called out in the cinema must have been truly awful since my uncle David, her only son, was also serving in the navy and it must surely have gone through her mind that she was being sent home to a telegram announcing his death. I like this photo. Stewart looks like a confident young man, striding out with an attractive woman at his side. My mum doesn’t know who the young woman in the photo is – or for that matter, the man at the back. 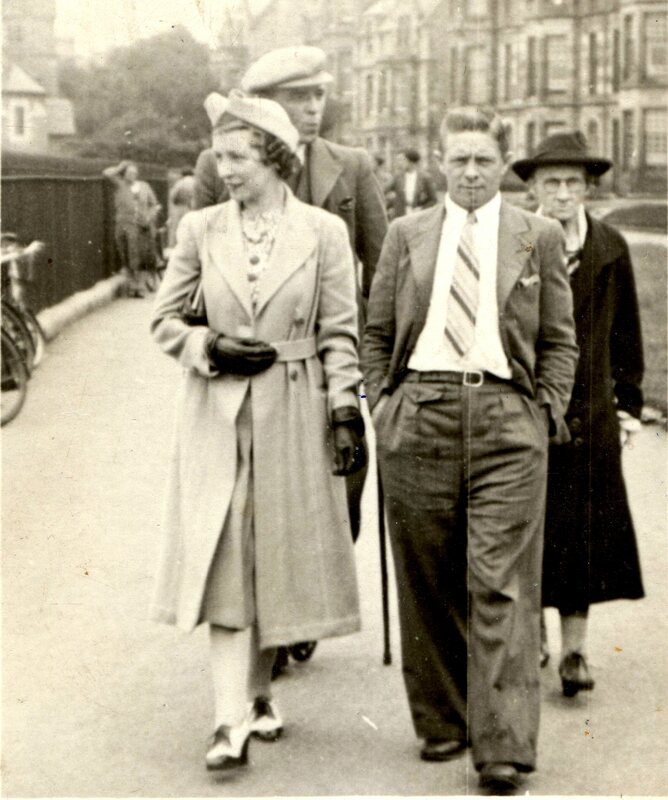 The older woman walking behind is Stewart’s mother, Isabella Wallace. I don’t know when or where this photo was taken but I’m working on the assumption that it was in the late 1930s; based on the younger woman’s clothes, and also the fact that I have this photo of Isabella Wallace (sitting, with my grandmother beside her) in which she looks much younger, and I know that photo was taken after 1932 when she returned from the United States, having spent seven years living in New Jersey. Anyone with knowledge of 1930s fashion who could help me date this more accurately – all suggestions welcome! 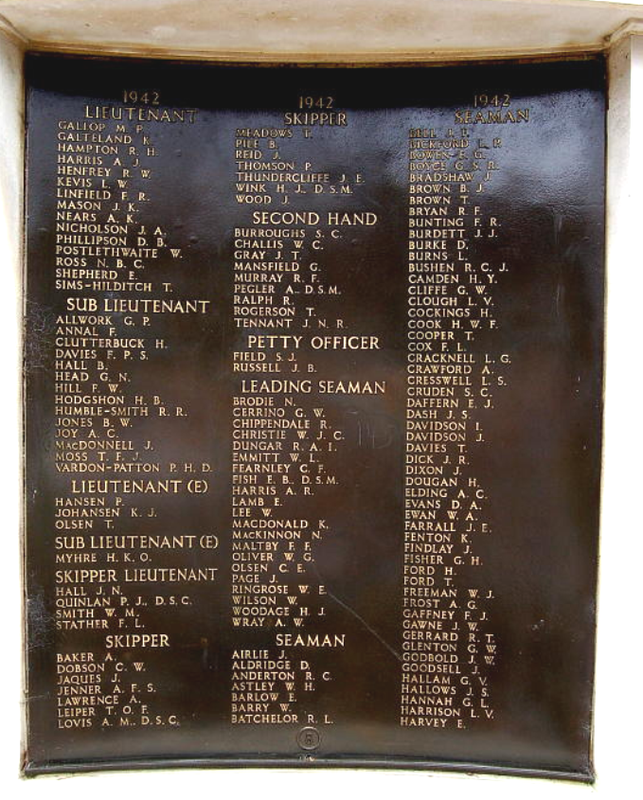 In Lowestoft, Suffolk, there is a memorial to the 2385 members of the Royal Naval Patrol Service who died during World War II who have no known grave. My great grand uncle is amongst them. My plan for 2013; a trip to the UK to, (amongst other family history objectives) take my mum to see this memorial.